The world’s fastest growing ship registry has now joined more than 2,000 other maritime professionals by becoming the latest associate member of BIMCO – The Baltic and International Maritime Council. Palau International Ship Registry (PISR) is the latest registry to join the world’s largest international shipping association representing ship owners, operators, managers, brokers and agents. PISR has grown to become one of the premier SMART ship registries and joining BIMCO offers unique opportunities for the registry to work alongside some of the biggest names in the maritime sector. 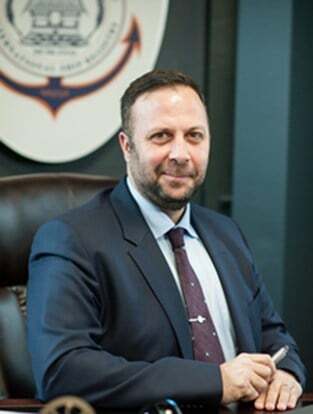 BIMCO is recognised throughout the shipping world for the clarity, consistency and certainty of its standard maritime contracts and Panos Kirnidis, CEO of PISR, regards membership as an important part of the registry’s growing credentials. “Joining BIMCO is an excellent opportunity for PISR to work in close co-operation with like-minded maritime professionals. They work with many of the world’s leading ship owners and operators who are looking to source contracts and services that keep their fleet operations at the highest levels. At PISR we offer SMART services and it made complete sense for us to join BIMCO which as a forward-thinking organisation is pressing ahead with driving the maritime sector into the 21st century.